Maybe it's just the angle, but this one doesn't look quite right for Ctenucha virginica to me. In particular the orange seems to extend too far back. 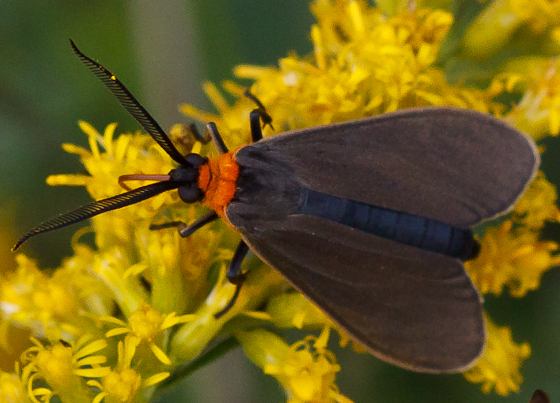 If the title could be changed, this would not show up in search for "Ctenucha virginica." Cisseps fulvicollis does look like a better match, particularly given the lack of blue iridescence on the thorax. Thanks.